With our depth of experience, we can assist our clients equally with the nuances of local business practises and the rigours of international commerce.  Our team includes lawyers from the United Kingdom, Australia, Ireland and the United Arab Emirates. Our team collectively has over 50 years experience in the UAE, having previously trained and practised in well known local and international law firms as well as UAE government companies, NASDAQ and FTSE listed organisations. Each member of our team is highly experienced in their field of expertise and strives to understand our client's specific needs to add genuine value and ensure their ongoing success. Jonathon is a dispute resolution lawyer and Founding Partner at Davidson & Co. Jonathon has 16 years dispute resolution experience and has acted in all manner of disputes for institutions, developers, investors and public companies, as well as for private companies and individuals. Jonathon’s first arrived in Dubai in March 1999 and prior to founding Davidson & Co. in October 2008, was a legal consultant at Clyde & Co, the international legal practice, based at its Dubai offices and, more latterly, Associate Legal Director of Sama Dubai, the international real estate arm of Dubai Holding. Jonathon has significant experience of the GCC real estate market, in particular in the area of dispute resolution, having acted for many years for a range of clients in the conduct of mediations, arbitrations (DIAC, LCIA and UNCITRAL), local litigation (Dubai Court of First Instance, Court of Appeal and the Federal Court of Cassation) and the High Court of England and Wales (Admiralty, Queens Bench and Chancery Division). Jonathon is particularly well known for his wealth of experience litigating in the Dubai International Financial Centre (DIFC) Courts and the Dubai World Tribunal (DWT) and is often seen in the local and international business press providing case commentaries. Jonathon and his team have acted in relation to the majority of cases brought before the DWT since the tribunal’s launch and acted as counsel for the Claimants in the ground breaking case of Diamond Developers & Ors –v- Nakheel PJSC & Jumeirah Village LLC (DWT/0091/2010). In addition to his work with the firm, Jonathon also sits as Chairman of the British Business Group of Dubai and the Northern Emirates, Co-Chairman of the Joint Committee of the British Business Groups of the UAE and as Chairman of the SME Task Force, a sub-set of the UAE-UK Business Council, an economic forum established jointly by the UK and UAE governments to promote bilateral trade and commerce. Jonathon is an also experienced arbitrator and regularly conducts arbitrations under the auspices of Dubai International Arbitration Centre and Dubai Chamber of Commerce and Industry. Andrew is an English lawyer who has been based in Dubai since 2007. Andrew has over 30 years experience of advising wealthy individuals, families and family offices in relation to both personal and business assets. Prior to joining Davidson & Co. Andrew was Group Director of an international trust company, and before that a partner in a leading London law firm, where he headed the firm’s Private Client Department. Andrew’s specialist areas of practice are wealth structuring for asset protection, (particularly using trusts), succession planning, family governance and advice to family offices. His work is often complex, and frequently contains a multi- jurisdictional element. Andrew has been the recipient of several private wealth industry awards, is a member of the Society of Trust and Estate Practitioners, and an Academician of the prestigious International Academy of Estate and Trust Lawyers. Alex is a non-lawyer and runs the firm's very successful Corporate Services Department. Alex has over 10 years experience in Dubai and works closely with a large number of senior officials across the various UAE government departments. Alex's team provides a variety of corporate services, to the highest standards, including turnkey company formations (Free Zone and onshore UAE), government department lobbying and practical, solutions driven assistance with all company registration, labour, immigration, residency and regulatory issues, all of which impact upon the efficient day to day running of our clients' businesses. Alex's clients include a huge range of SME, owner-managed and blue chip companies who, with the assistance of Alex's team, have set up a branch, Free Zone or UAE onshore company and continue to use the firm's Corporate Services Department for their every day business requirements. Kate works alongside Alex Watson in the firm's Corporate Services Department. 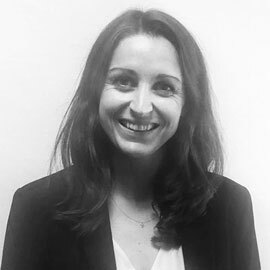 Kate has over 9 years experience in the UAE and has extensive experience in dealing with all government departments in both Dubai and Abu Dhabi including Departments of Immigration and Labour, Economic Departments and Municipalities. Kate’s role encompasses company formations, government liaison and lobbying services, visa procedures, immigration and labour dispute management. 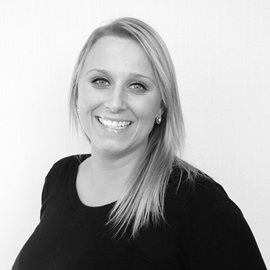 Prior to coming to the UAE, Kate was the Administrative Manager for a leading Resort Group in the UK. Kate's administrative background has allowed the firm to implement cutting edge administrative and procedural practices in both the firm’s client facing and internal functions. Andy Lyons is a dispute resolution lawyer based in our Dubai Office having joined the team in 2011. 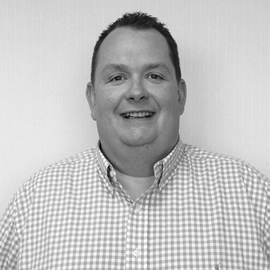 Andy was trained and qualified in Scotland where he worked closely with our Specialist Counsel, William Frain-Bell. He was involved in a number of high profile litigation cases in the High Courts and Supreme Court in Scotland and was involved in many cases which shaped the law within that Jurisdiction. 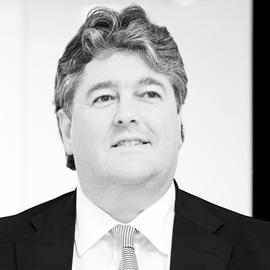 Andy specialises in commercial litigation, Arbitration and Alternative Methods of Dispute Resolution and has worked closely with Joe Durkin in a large number of litigation proceedings in various jurisdictions including the Dubai World Tribunal (DWT), the Dubai International Arbitration Centre (DIAC), the London Court of International Arbitration (LCIA) and the DIFC-LCIA. 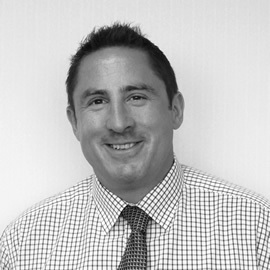 Andy's recent case load has seen him advise clients on a range of contractual matters from construction and real estate disputes to employment, commercial and corporate matters. Andy is currently very active within our Construction Litigation team dealing with high value, contentious disputes which are the subject of complicated proceedings within the Dubai Courts, DIFC-LCIA, DIAC and the ADCCAC (which includes tendering pre-litigation advice). Andy enjoys Rights of Audience under Part II of the DIFC Court's Register of Legal Practitioners, Andy’s commercial experience and high value litigation background puts him in an ideal position to ensure our clients’ specific needs are identified quickly, enabling him to tailor the advice offered to clients accordingly. Andy's clients range from global contractors to High Net Worth individuals and corporations. Latterly Chief Executive of a major UK-national law firm, Chris joined Davidson & Co in August 2014 to guide the firm through the next stages of its growth strategy. A solicitor by profession, Chris draws on over 30 years of experience in the legal sector, both client-facing and management. 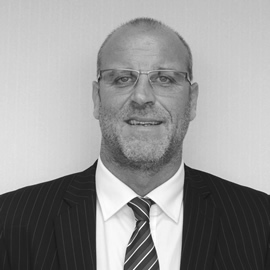 Chris was first assumed as a partner in 1986 and went on to establish himself as one of the foremost planning solicitors in the UK. From 2000 to 2010 he was Head of Planning & Environment at Maclay Murray & Spens LLP, specialising in inquiry advocacy and representing major developers, institutions and other private and public sector clients at more than 100 public local inquiries. In 2011, Chris became Chief Executive of MMS with overall responsibility for the strategic direction and operational management of a complex, multi-layered £40m+ business, leading a senior management team of Finance, Marketing, IT, HR and Facilities professionals. He successfully managed MMS through a period of intense structural and regulatory change, including leading a root and branch strategic review of the business and driving the subsequent implementation phase to deliver sustainably profitable growth. He has also established a reputation for thought-leadership, contributing various articles and providing commentary to the national and legal press. Kimia is an associate in the firm’s dispute resolution department. 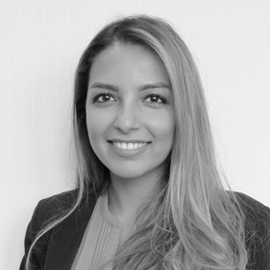 Kimia has trained and qualified with the firm following a secondment in the competition litigation department of Mischon de Reya in London. Kimia has been involved in a variety of DIFC cases and is able to provide expert advice and oversight in a variety of dispute resolution settings. Kimia completed her bachelors degree in the UK at University of Kent and holds a Masters degree in International Business Law from King’s College London. Prior to joining Davidson & Co Kimia worked as a paralegal in private practice law firms and other legal institutions, both in the United Kingdom and United Arab Emirates. Kimia also speaks Farsi and has extensive knowledge of the Iranian market. Andrey is based in our Dubai Office and heads up the firm’s Russian speaking desk. Andrey is based in our Dubai Office and heads up the firm’s Russian speaking desk. 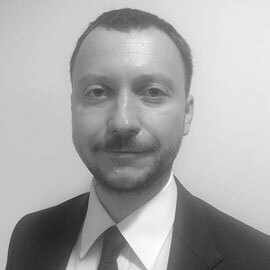 As well as a Law Degree, Andrey holds an MSc from Heriot Watt University and has over 12 years of experience, both in Russia and Dubai, in a broad range of areas including corporate law, mergers & acquisitions, dispute resolution and construction. Fluent in both Russian and English, Andrey looks after the firm’s Russian speaking clients and is well known in the extended C.I.S. business community in the UAE. Victoria is an Associate in the firm’s Private Client and Employment Departments. 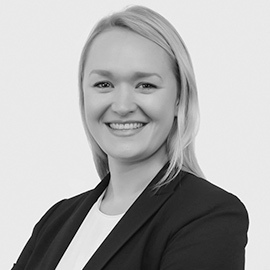 Prior to joining Davidson & Co in October 2017, Victoria was trained and qualified in Scotland, where she worked at one of the UK’s top private client firms, based in Edinburgh. Victoria specialises in advising individuals and families on succession planning, wealth structuring and asset protection, often involving a multi-jurisdictional element. Victoria heads up the firm’s DIFC Wills practice and is a registered DIFC Wills Draftsman. In addition, Victoria has in-depth knowledge and experience advising clients (both private individuals and local and international companies) on all areas of the UAE Labour Law and DIFC Employment Law. Victoria’s work includes advice and assistance in relation to the recruitment of employees (preparation and review of employment contracts and supplementary policies and documentation), on-going employment relationships, termination of employment, end of service entitlements, restrictive covenants, and litigation assistance. Victoria is a Scottish Notary Public and a member of STEP Arabia. Tanisha Saxena is an Associate in the firm’s Litigation and Arbitration departments. 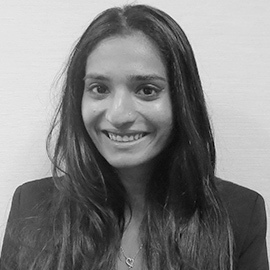 Tanisha Saxena is an Associate in the firm’s Litigation and Arbitration departments having trained and qualified with the firm following a brief secondment in the litigation department of Mishcon de Reya’s London office. Tanisha graduated with honours from the London School of Economics, having completed a degree in Philosophy and Economics, prior to studying law with the BPP University in London and is admitted as a Solicitor in the Senior Courts of England Wales. 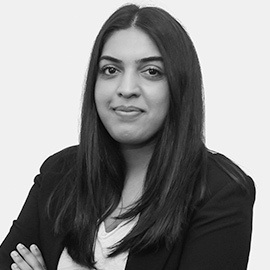 Tanisha has successfully represented clients before the DIFC Courts, the Dubai International Arbitration Centre, International Chamber of Commerce, DIFC-LCIA and the London Court of International Arbitration, and is also highly experienced in disputes falling under the jurisdiction of the Dubai Courts. Her areas of practice include high value construction and real estate disputes, as well as commercial and banking disputes and proceedings before the Courts of England and Wales. She is a member of the Young International Arbitration Group and in the process of registering as a Member of the Chartered Institute of Arbitration. 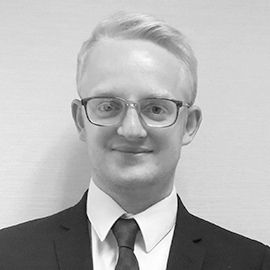 Finlay is a Trainee Solicitor currently working within the firm’s Corporate and Private Client departments. Finlay holds a bachelor’s degree in Modern History and Economics from the University of Manchester and completed his LPC at BPP University, London. 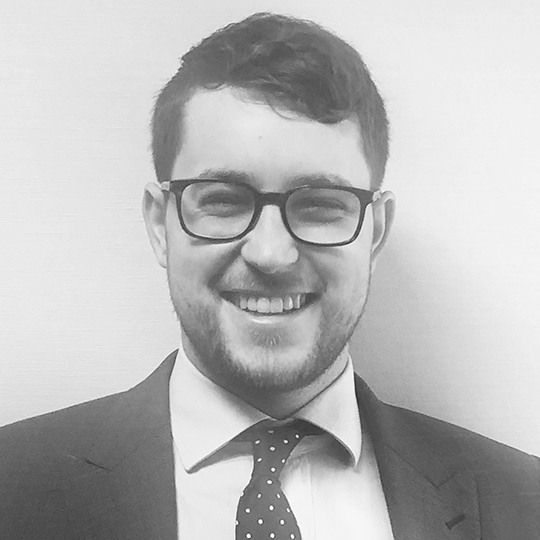 Finlay has previous experience working for a boutique private client firm in London, specialising in tax advisory, trust administration and wealth structuring. Yousif Ahmed is a senior lawyer based in our Dubai office and acts for clients all around the World including the UAE, the Middle East & GCC, UK & Europe and beyond. 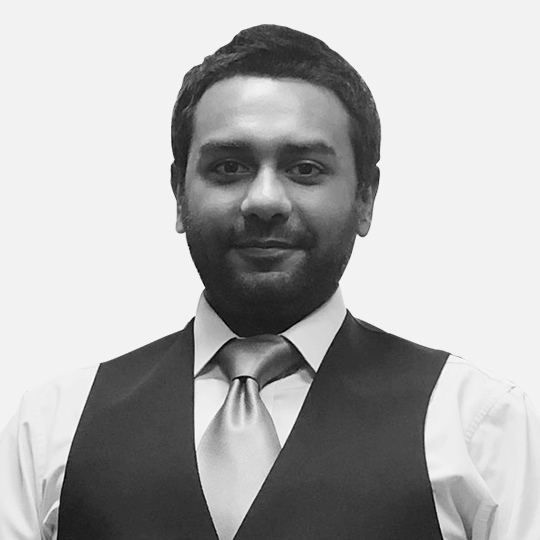 Yousif Ahmed is an award-winning UK-qualified Solicitor and Notary Public. He maintains a broad and varied practice in all aspects commercial law. His core practice areas include: Real Estate (both residential and commercial); Corporate and Company Law; Commercial Contracts; Dispute Resolution; Employment Law; and general counsel corporate and commercial advisory work. Prior to joining Davidson & Co, Yousif worked at one of Scotland’s premier commercial law firms and was also a former Crown prosecutor. More recently, he was Director of Legal Services at a boutique commercial law firm based in heart of Scotland where he headed up their commercial law department. Clients particularly value Yousif’s ability to combine legal advice and representation with pragmatic commercial solutions. He is focused and committed to providing and delivering a high quality, first-class, client-driven service. Yousif is registered with the Foreign and Commonwealth Office in London, UK and is authorised to notarize UK documents for use in foreign jurisdictions including Dubai and the UAE. He is also multi-lingual and can speak fluently in Urdu, Punjabi and Hindi. Yousif has a keen interest in charitable work and in offering his time and assistance to help people, particularly those in need or suffering in hardship. He is the Chief Executive Officer (CEO) and Chairman of a Scottish registered charity and some of the pro bono campaign work he has led has featured in mainstream press reports. 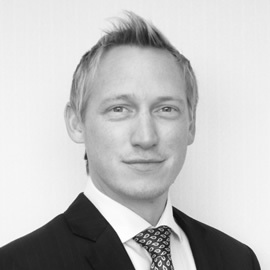 Christopher is a Trainee Solicitor currently working within the firm’s Private Client and Litigation Departments. Christopher holds a BA in Ancient History from King’s College London and completed both his GDL and LPC with BPP University London. Christopher previously worked at a firm based in Chancery Lane that specialised in commercial litigation, wealth management and tax, regulatory and financial investigations. 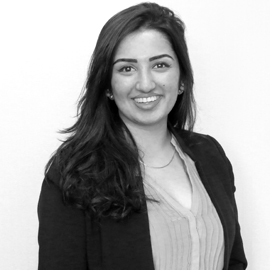 Rhea is a Corporate Associate based in our Dubai office having joined the team in 2014. Rhea has spent over 19 years in Dubai and graduated with Honors in Law (LLB Hons) from the University of Warwick in the United Kingdom. She completed her LPC and Masters in International Legal Practice at the University of Law, London. Her areas of practice include corporate restructuring and commercial transactions, both in the UAE and internationally, with a broad experience in emerging markets, cross-border and multi-jurisdictional mergers and acquisitions, commercial dispute resolution, corporate governance, compliance and advising clients from business start-ups to seasoned companies as well as high net-worth individuals..
Iram is the firm’s Document controller and joined in 2018. Iram graduated with an LLB (hons) from the University of London Metropolitan in 2014. Prior to joining Davidson & Co, Iram worked in the Education sector. She has a wide range of skills in data management and extensive experience in office administration. Joanna Stewart is an Associate in the firm’s Dispute Resolution department. She is a Scottish Notary Public. .
Joanna is an experienced litigator having trained and qualified at a pre-eminent litigation firm in Scotland. Prior to joining Davidson & Co, Joanna successfully defended major insurance and commercial clients in a wide range of disputes in the Sheriff Court and Court of Session. She has excellent advocacy skills having regularly appeared at the Sheriff Court against Solicitors and Counsel for a variety of actions. Joanna takes a practical and commercially aware approach to disputes.